In 2001 Samson Door & Window builds a highly skilled team of installers with extensive experience in all types of doors and windows. We continue to excel at custom bi-fold doors, multi-slide doors, custom front entry doors, custom gates, and custom garage doors. Of course we do a lot of vinyl retrofit windows but we do not shy away from the more difficult “full tear out” or “nail-on” installation methods, that include the stucco repair and custom stucco “plant-on” details if you choose. 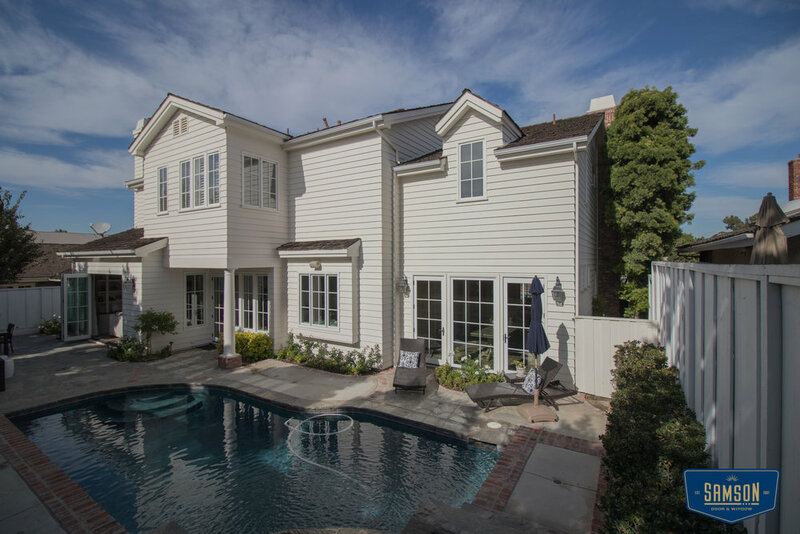 Not only are we amazing at matching stucco textures, we are also excellent at finish carpentry. We have the ability and expertise to customize interior molding details on any door or window in your home. Since 2001, Samson Door & Window has continued raising the bar for custom door and window replacement systems in North and South Orange County. From the beginning, Samson built it’ s foundation on honesty, hard work and the desire and ability to continuously improve service and quality installations. Samson is the team that manufacturers and general contractors turn to for complex installations in custom high end residential and commercial applications. Our talented team adds curb appeal and makes your home more energy efficient while using the very best products the industry has to offer. Our installation and weatherproofing techniques meet and exceed industry standards both locally and nationally. With our combined, vast experience in construction and design, we can make recommendations that will beautify and increase the value of your home while saving you time and money.